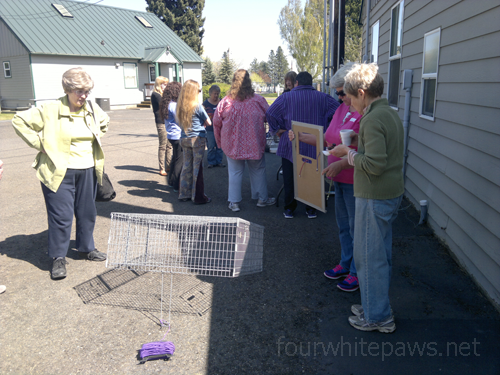 As a volunteer with the Community Cat Coalition, I co-teach the Basic TNR class, which is usually lots of fun. Occasionally we get invited to teach the class for a group of people in a far away location. 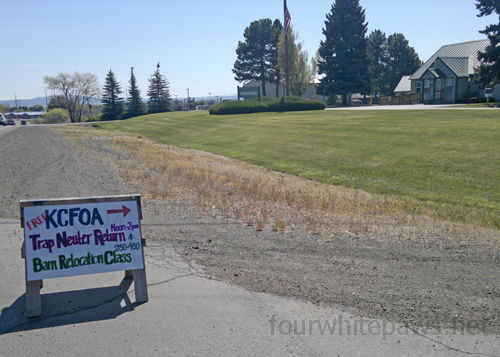 This time around, it was Ellensburg, WA, which is about 100 miles east of Seattle, in the middle of the state. 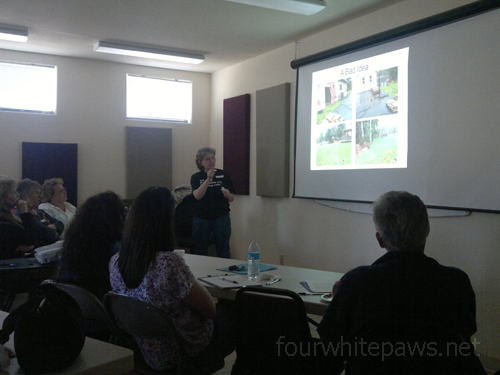 The class was a double header, the Basic TNR class would be followed by a Barn Cat Relocation class. Nancy, an amazing local rescuer, organized this event and it was tons of fun! 18 amazing people came and spent the afternoon learning about TNR and Relo stuff. The snacks were pretty amazing too! 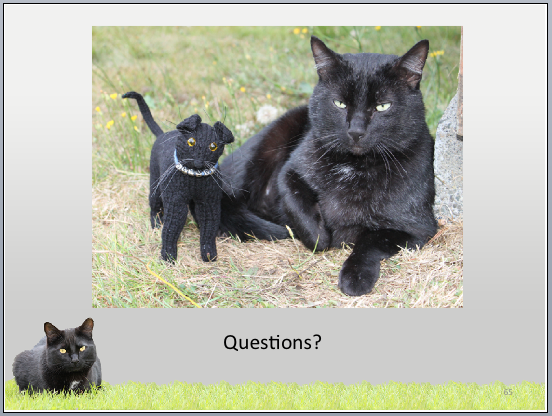 The cat featured on the bottom corner of each slide is Pierre. 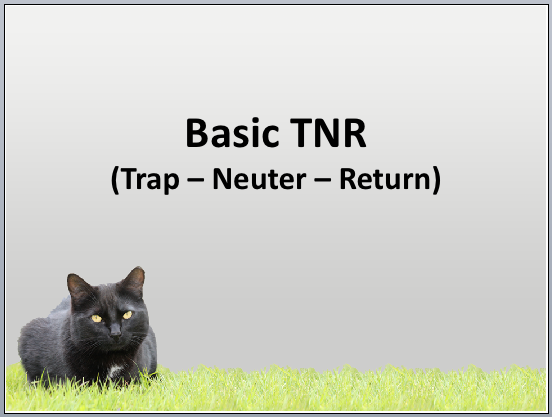 There are two sections to the Basic TNR class, the first is the classroom portion, where I share my experience with Oliver and his family to tell the story of TNR, while also teaching all the basics on how to trap, neuter, and return community cats. 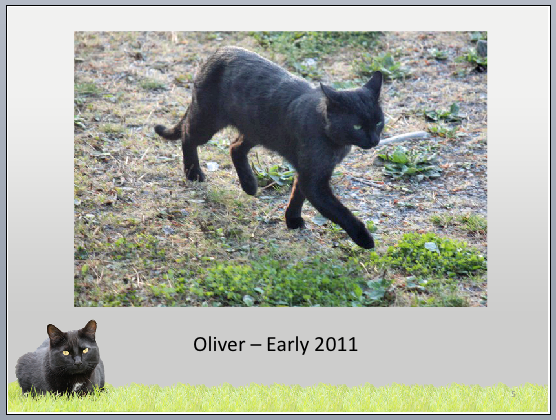 I love telling Oliver's story and everyone seems to love to hear it! The second part of the class involves Vicki demonstrating how to work with the traps. 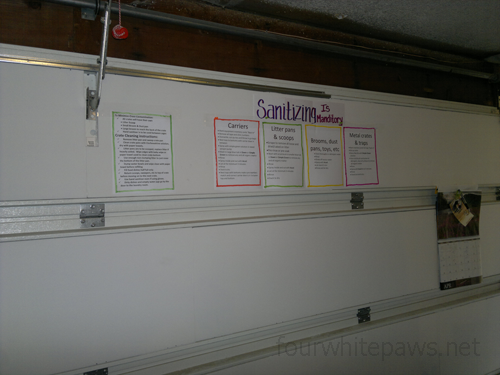 Nancy gave us a quick tour of her TNR workspace in her garage. I was super-impressed by her incredible setup. Everything's labeled and perfectly organized. I aspire to be that organized, wow! I love meeting so many people who are out there everyday in their communities, making a real difference in the lives of their community cats. 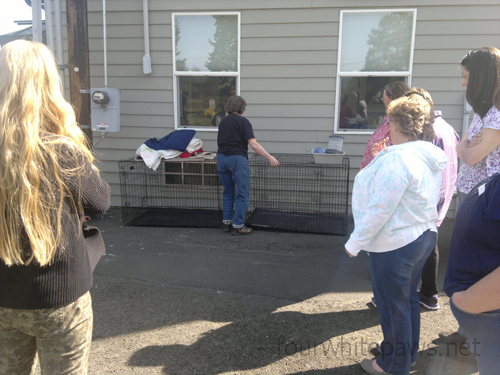 Hearing their stories warms my heart and brings tears of joy - these people really care about the homeless cats, when so many people choose never to see them. 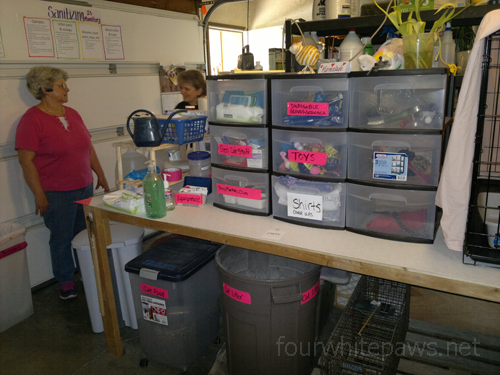 These volunteers are quietly spending tons of their own money and time to improve the lives of the homeless cats. 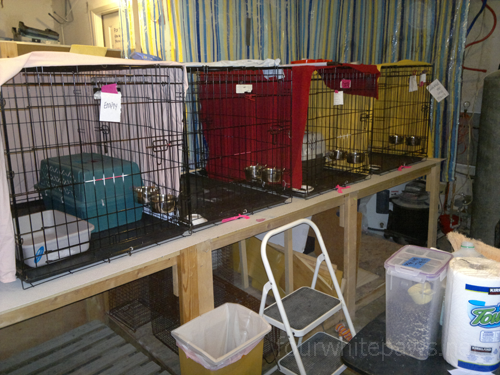 One example of their dedication: There are very limited low cost spay/neuter services in their local area. 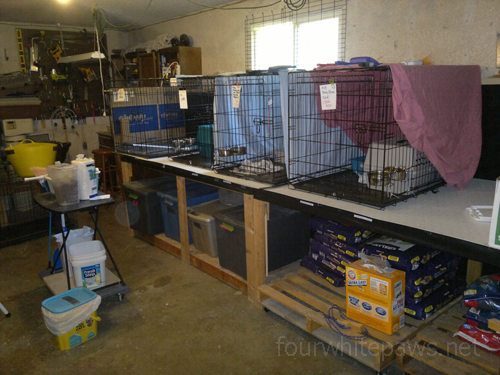 So, several times a month, they load up a van full of cats and drive 100 miles each way (which involves driving over a major mountain pass), to the Feral Cat Spay/Neuter Project clinic, where the cats can be altered. These amazingly dedicated, selfless, people are my heros. That is a wonderful thing to do and be a part of fur sure. 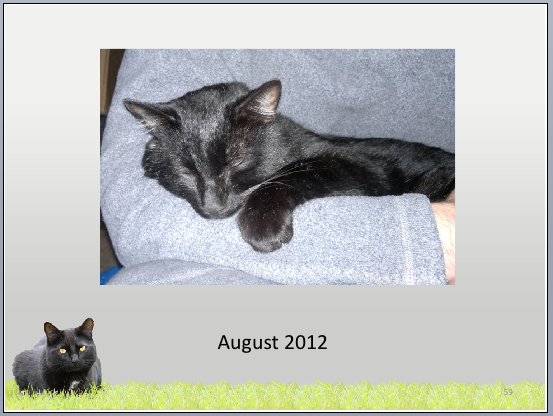 We're hoping to resume our TNR on Tuesday. Don't know if I ever said, but one we got was not feral at all, quite tame actually. A most beautiful calico, and she was adopted on Friday. Wow that was a fantastic class! What a wonderful opportunity for so many who attended. Thanking you for sharing this story. And for your input that should encourage other such endeavors." All creatures great and small the Lord God created them all." I am impressed as heck! First, that you teach this class, and with the dedication of the others. I've attended several TNR classes, and have volunteered as helper for a few, but don't know if I have the nerve to stand up there and talk! 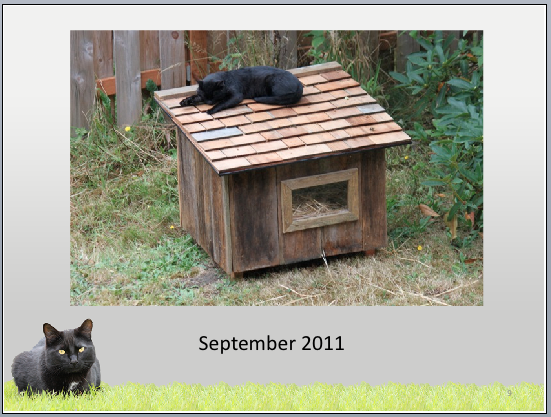 And I'm the biggest wimp on the planet, but if I can TNR, then anyone can. Using the drop trap is amazing sometimes; we've built our own from wood and leftover deer fencing, and the hubby and I intend to build more to donate, once the weather warms up enough for us to work in an unheated garage. I never fail to come away from here filled with the love you have for all cats both inside and your sweet family outside. I would give so much if I could only whisper some advice to Oliver so that he could attain his precious loving dream. Please use the box dearest Oliver. I need to include him in my prayers.